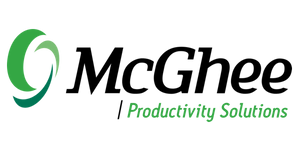 McGhee Productivity Solutions presents an introduction to our “Optimizing Take Back Your Life: Personality and Productivity” course. Individuals are each wired to handle people, teams, conversations, problems, stress, workflow, tasks, and daily life differently based on their personality style; which includes motivations and how they respond to key observable behavioral traits. In this course, participants learn how to apply a variety of productivity principles based on their individual personality style. Since productivity is not one size fits all, this course supports an inside out approach to increased productivity. Participants can expect to gain awareness about how they utilize and waste time at work and how to incorporate this awareness to make meetings, people, tasks, and email management more effective, efficient and productive. In this free webinar you will sample the content and learn how different personality types affect conversations, workflow and productivity.